There is a really good restaurant at Mġarr Harbour, very well known and appreciated for fresh fish but not only. 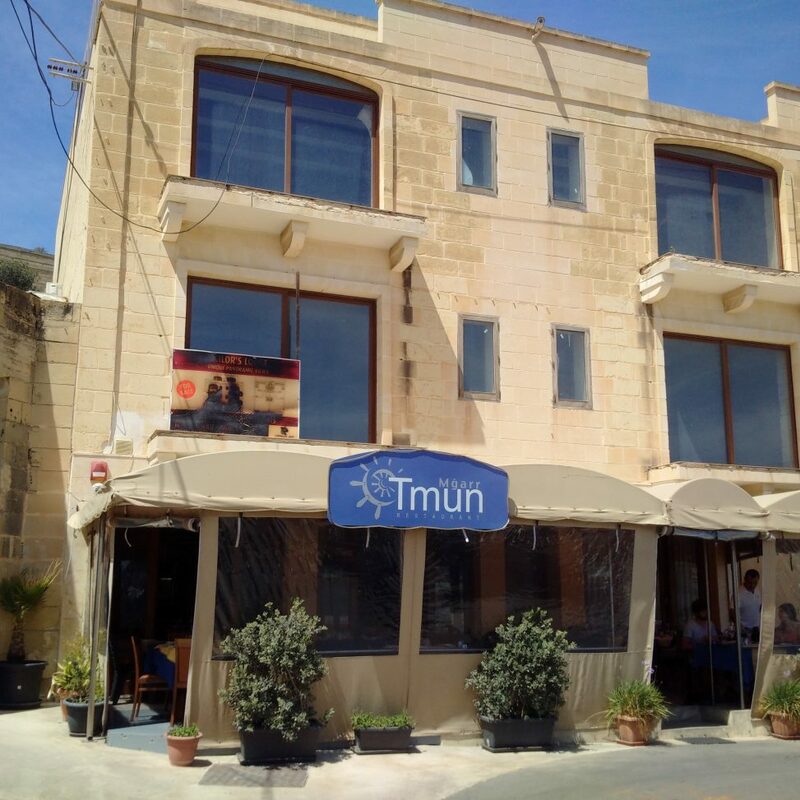 If you travel to Gozo with the ferry from Ċirkewwa, Tmun it’s within easy walking distance. You do not need to have car. 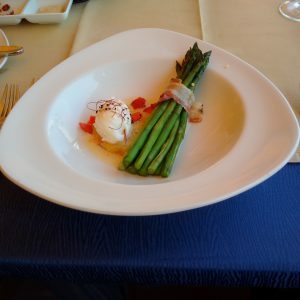 Fresh lo cal asparagus with a very tiny slice of bacon and a slow cooked egg. Tasty food but still healthy. Grilled Tanuta caught in local waters with her own eggs and a squid. When a fish is served, for those who like, with her eggs is a very good signal. 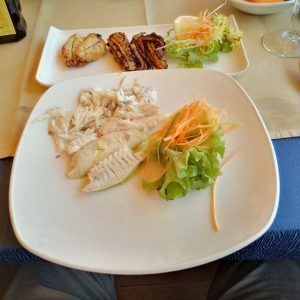 The the Tanuta is a kind seabream which I find quite often in the local restaurants. English name should be Black seabream but I’m not sure. A similar fish, and maybe better known, is the Sargu or White seabream. Given the fact that Gozo is an island, one may think that fresh fish, locally caught, should be a must for local restaurants. This is untrue and the reason is the price. I found a Red Snapper (or Pagell) from Morocco in a restaurant in Marsalforn after at least three days of calm seas and ideal fishing conditions. Anyway, I have to say that in last years things are getting much better.